Skangas has entered into an agreement with parts of the Gothia Tanker Alliance to supply LNG as fuel. The new agreement comprises current as well as new vessels with LNG propulsion soon to come. The Swedish shipping companies that will get the advantage of the agreement with Skangas are Furetank Rederi AB, Erik Thun AB and Rederi AB Älvtank, which have invested in total six new LNG-powered vessels and together with the existing Fure West they are all jointly operated by the Gothia Tanker Alliance. The Swedish Shipowners’ Association is actively contributing to reduce any negative environmental impact of the shipping industry. Their goal is zero emissions by 2050. “Investing in LNG-fueled vessels contributes along these lines. For newbuilds we focus on energy efficiency and innovations. Together with our choice of cleaner fuel we are experiencing a major reduction in our CO2 emissions, not to forget the reductions in particulate matters and NOx,” said Lars Höglund, Managing Director of Furetank. 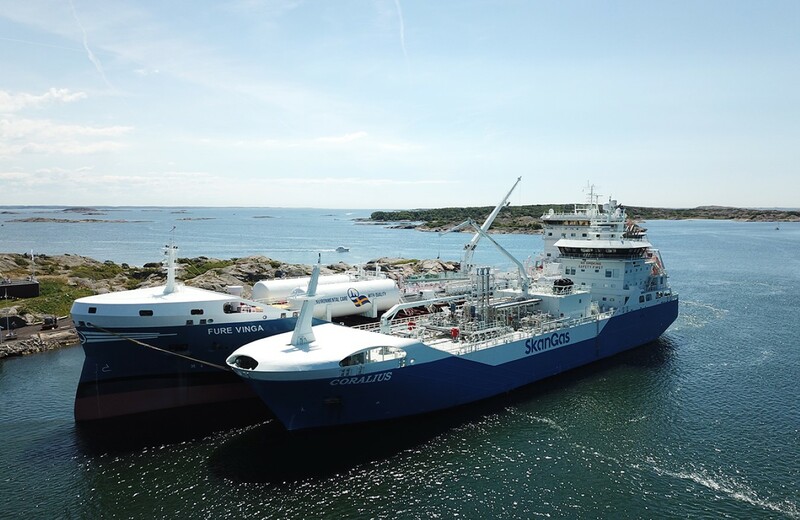 Wherever an LNG-powered vessel might need fuel, Skangas will be delivering. The delivery chain consists of trailer trucks, extensively being used for bunkering operations in ports, bunkering from terminals, as well as Skangas’s bunker vessel Coralius. The bunkering ship-to-ship by Coralius may take place at anchorage off Gothenburg in Sweden, off Skaw in Denmark, off shore Norway or in ports during cargo operations.